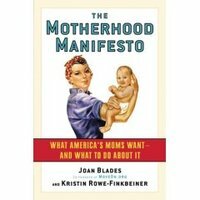 Honestly, I've only done a quick skim through the first chapter of the Motherhood Manifesto, and the Moms Rising website. I will say however, that the Rosie image and her baby portray a very white image of motherhood. I'm sure that the book and website are more inclusive than just the logo. But, maybe the baby could have at least been biracial (half Korean, of course!). Regardless, I think this is something worthwhile for all moms to check out. Kimchi Mama Twizzle featured on Mixed Media Watch! More weblicious coverage for Kimchi Mamas! This time, it's courtesy of our very own Twizzle. Her recent post "Why Korean?" caught the eye of Mixed Media Watch, a blog that "monitors representations of mixed people, couples, families and transracial adoptees in film, television, radio and print media."